There is no doubt that 2014 is seeing Scotland experiencing one of its busiest summers in a long time. No matter what your interest, there is bound to be something happening in the next few months that will grab your attention. Whether you’re a sports fan, food buff or nature lover, Scotland has something to offer you…though we can’t promise you an Indian summer or no rain. There are some events taking place this summer that, like it or not, might well be impossible to ignore. As a country we’ve been exceptionally lucky in the events that we have been chosen to host this year, not to mention our own annual events that deserve all the recognition and love that they receive from locals and visitors alike. The Commonwealth Games (23rd July-3rd August) – If you’ve not heard of the Games at some point over the last few years then where have you been? The topic of choice for the media outlets, and for everyone in and around Glasgow, the Games are riding on the phenomenal success of the 2012 Olympics and the revival of interest in sport over the last two years. As a nation we are more interested in sport than ever, and if the amount of interest in the progress of the Queen’s Baton is anything to go by, we’ll all be glued to our screens this coming month. If you don’t have tickets, or simply don’t fancy being stuck inside for the better part of two weeks, then don’t fear! All of this hype has meant that Glasgow has become quite the place to be at the moment – to put it in the words of the cool kids, it is buzzing. If music festivals are your thing, then check out BBC at the Quay (19th July – 3rd August) or Festival 2014 at Kelvingrove Bandstand (23 July 2014 – 03 August 2014), both of which are free. If you like a bit more variety, why not check out this year’s bumper 11 day long Merchant City Festival (23rd July – 3rd August), which promises a varied programme including music, dance, comedy, visual art, fashion, drama, film, tours, walks, food, and markets. Failing that Glasgow has no shortage of amazing clubs and pubs to while away the afternoon, or the night if you’re rock n roll like that; check out http://getoutglasgow.com/ for some of the best that the city can offer. The Ryder Cup (23rd-28th September) - Scotland is the ancient home of golf, so it’s no wonder that there is a lot of excitement about the Ryder Cup coming back to Gleneagles, the place it started off 93 years ago. The last time this prestigious title was fought over in Scotland was way back in 1973, and golf fans across Scotland are rejoicing at its return to the legendary Gleneagles course in Perthshire. If you’re a golf fan, or you just fancy being in the Perthshire area to soak up the atmosphere in September, why not check out our extensive list of beautiful rentals here. Homecoming (2014) - In addition to these big name events, 2014 is the year of the Scottish Homecoming celebrations, which means that where ever you want to go there is pretty much guaranteed to be something fun going on. With a huge variety of events covering everything from heritage, history, outdoors, food and drink, and arts and culture, we’d be shocked if you didn’t find something that tickled your fancy. Full details can be found on the Visit Scotland website. Highland Games (May-September) - Now we don’t know about you, but we love a man in a kilt. You can’t be Scottish and not love a man in a kilt right? Well, this summer gifts you with numerous opportunities to indulge that little fancy by attending one of the various Highland Games events taking place. The Highland Games provide a unique combination of culture, sport and social fun, and you can see everything from caber tossing to piping. Luckily, the Games take place all across Scotland, so whether you’re local or just visiting, there’s no excuse to miss out on some good old fashioned Scottish fun. A full list of events can be found here. 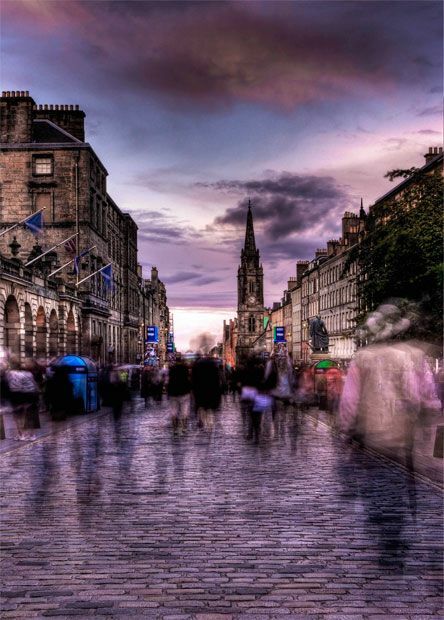 Edinburgh Fringe (1st-25th August) – One of the best annual events in Scotland in our opinion. The Edinburgh Festival Fringe is one of the greatest shows in Scotland and attracts visitors and entertainers from far and wide. Many popular acts got their big break in Edinburgh’s hallowed streets, and we predict the Fringe will be nurturing talent for many years to come yet. Edinburgh comes alive during this month, and even if you don’t want to catch any of the shows, the atmosphere in the city is something to experience in itself. Well, that and there are numerous lovely outside drinking areas where you can sit and people watch from under your sunglasses whilst sipping wine. For a full list of the shows, and to book tickets, check out here. Check back next week for a lowdown on some of the lesser known gems that Scotland has to offer. Tell us what’s your favourite event of the summer in Scotland – we’d love to add more to our list!